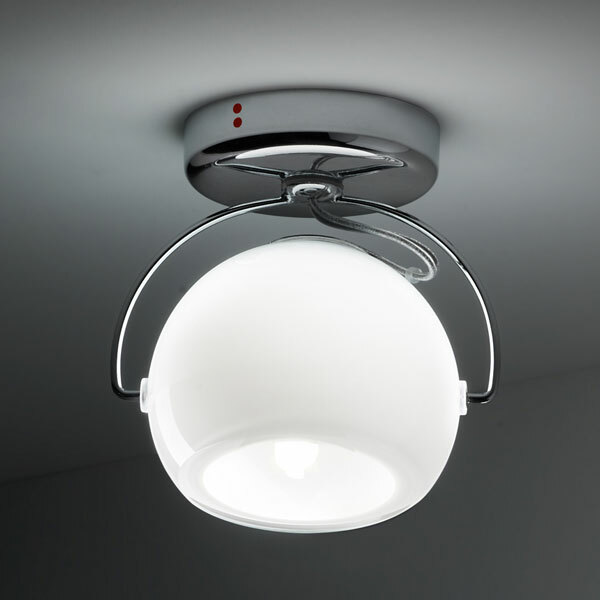 The Beluga White G27 lamp is suitable for mounting on the ceiling, as well as for mounting on the wall. This modern luminaire is their reduced and modern design very flexible in terms of their possible applications. The reduced design of the Beluga White Ceiling Light plays never too much in the foreground, but instead keeps covered and looks out from the background. The Beluga White Ceiling Light is supplied with a blown glass diffuser which emits through its subtle shade of white and a very nice soft light. The suspension and the base of the Beluga is made of chromed metal and completes the impression of high quality zine. Our tip: combine the Beluga White ceiling lights with other lamps in the Beluga family. So you will find a pendant lamps - variant versions as well as table lamps, floor lamps and also as a wall lamp with adjustment arm.